Author: Jim Gray, Check-6 Inc. In today’s complex, rapidly changing marketplace, it is critical that organizations can respond quickly based on real-time data. 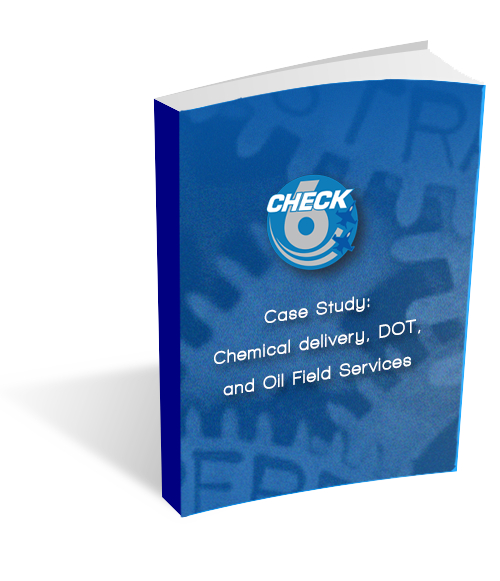 Digitally capturing data with RIGOR®, a digital checklist system (DCS) from Check-6 Inc., allows companies to develop and track defined results, observe execution behaviors, and identify important trends. Captured information, like process completion times and inspection results, tell a story not easily pulled from paper records. Those stories, now resident in a data base, can be analyzed and interpreted, allowing leadership the ability to quickly modify processes and behaviors to maximize output, improve performance, and mitigate human error. A major oil field services company was experiencing a high rate of preventable on-road regulatory violations across its fleet from the U.S. Department of Transportation (DOT). Senior leadership recognized the need for a higher level of operational discipline from its team of commercial drivers to improve compliance and reduce non-productive time. DOWNLOAD YOUR COMPLIMENTARY WHITE PAPER TO READ MORE.